Jennifer Bisson along with Melissa McComak, ARNP, FNP enhances the practice of Christopher Cave, M.D. in our Family Medicine Department. They provide a team approach designed to increase appointment access and quality care. 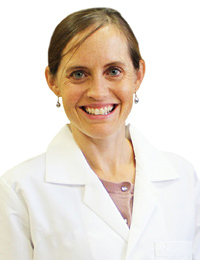 Jennifer Bisson, PA-C, is a physician assistant with White-Wilson Medical Center in Navarre, Florida. She graduated from the University of Texas Southwestern Allied Health Sciences School in Dallas, Texas, in 1999, with a Bachelor of Science in Physician Assistant Studies. Ms. Bisson works along side Dr. Christopher Cave at the White-Wilson Family Medicine Clinic in Navarre. She is committed to providing exceptional and compassionate care, and specializes in wellness exams, physicals, urgent care illnesses and preventive medicine.